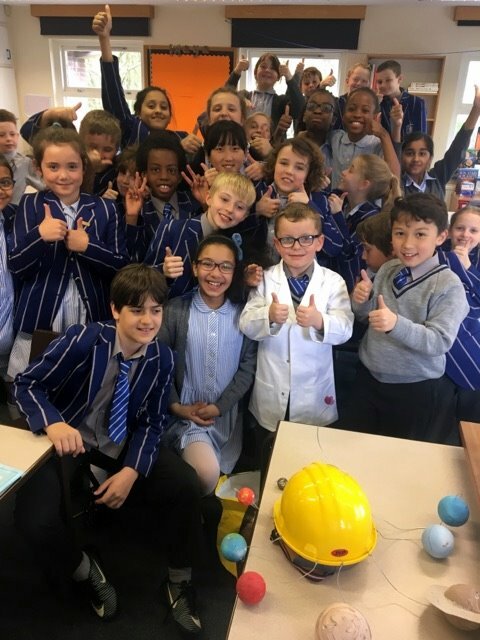 Mason, our budding Bridgewater scientist, has been spreading his vast knowledge about Space with a lesson he gave to Prep V! Mr. Bennett enjoyed showing the class the planet sizes and even shared information on the big bang! He even got a certificate from Miss. Carey for being such an enthusiastic teacher! Mason was a good science teacher. Brilliant, well done Mason sharing your super knowledge. What a great afternoon! Mason you were fantastic!